Oxford volunteers were toned out for a mid morning call from the home owner at 16 Trefoil St reporting that their garage was on fire. They arrived to find a large attatched garage with a second story loft with heavy fire showing. Mutual aid was requested from the neighboring towns of Southbury and Seymour for tankers as well as engines for station coverage. 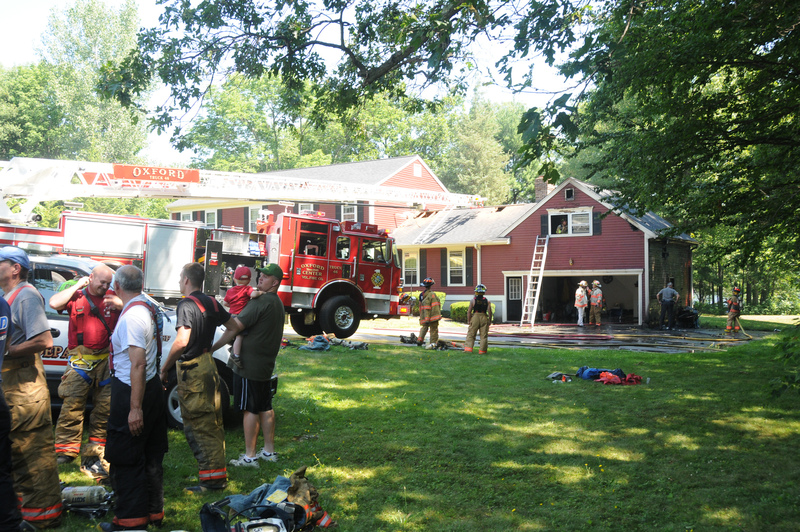 An aggressive attack brought the fire quickly under control and prevented extension to the house. It appeared that the origin of the fire may have been from the exterior on the right side of the garage but the official cause will be determined by the fire marshal's office.